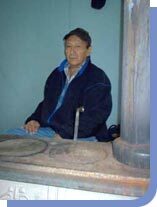 Most Elders on the reservation live in poorly insulated homes and the Wood Program is the only way they can survive the freezing temperatures. Many residents on the Pine Ridge Reservation heat their homes by burning wood, however that wood is hard to come by, and those without transportation are forced to pay the exorbitant prices charged by wood vendors. As a result, many Elders are faced with an impossible choice. Do they go hungry or go without heat during the icy cold South Dakota winters? 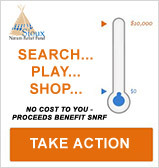 In order to ensure these Elders do not have to face such a wrenching decision, the Sioux Nation Relief Fund (SNRF) Wood Program has stepped in to deliver wood to the Elders in several communities on the Pine Ridge Reservation. 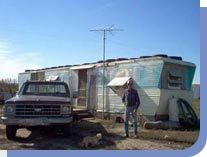 The residents of this reservation subsist on little or no income and struggle to meet their daily needs. Those most vulnerable to the effects of poverty are often the Elders who are frail, in ill health, have little income, and often lack transportation. 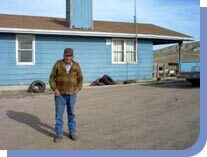 One of such Elders served by the SNRF Wood Program is Joe Charging Crow. A disabled veteran, Joe is unable to walk due to a gunshot wound he received while serving during the Vietnam War. Mr. Charging Crow lives alone in a two-room house that’s heated using only an old wood stove. Because Joe does not have transportation, he must rely on the generosity of neighbors to take him to the nearest town--which is 50 miles away--to do his shopping. SNRF’s Wood Program delivers wood to Elders like Mr. Charging Crow to ensure that those who have no electricity can cook, as well as stay warm this winter. These Elders will also be able to use what little disposable income they would have spent on wood for other pressing needs such as food and clothing. It’s another way SNRF warms the hearts of those in need.